They’re excited to be joining our returning board members Rhonda Couchigian, Jordan Kahn, Rrivre Davies, Paul Rumohr, Gabrielle Cote, Jennie Cook, and Jason Rhee and we are all excited for a great 2019. I do want to take a quick moment to thank our exiting board members, Brit Bertino and Paula Laskelle, for all of their hard work and support over the past few years. Paula was the last founding WIPA member serving on the International board and Brit was instrumental in the creation of our chapter SOP's and our tremendous growth. They both leave a strong legacy behind and will be sorely missed! Our International Board is fresh off a successful Board Retreat, where we discussed strategic planning, membership retention ideas, and new great member benefits. I am incredibly confident that our Board will be serving our members well throughout this year and I’m excited to see where the year takes us. We recently hosted the Chapter Presidents and Representatives for their retreat and it was inspiring to see all the amazing things our chapters are working on and have planned in 2019. I am also thrilled to announce that Corinne Dudine and Vicki Carson have recently been named the Co-Executive Directors of WIPA! We certainly wouldn’t be where we are today without these two and I am truly appreciative of their guidance and commitment to WIPA. I’m sure you’ve dealt with Corinne or Vicki at one point in your tenure with WIPA, so you know just how special they are! I look forward to meeting as many of you as I can, so please be sure to stop and say hi if you see me at a meeting. It’s been my honor to serve WIPA and I’m looking forward to another great year! This month’s Webinar from Kylie Carlson, AAWEP featured Wedding Trends Report for 2019. 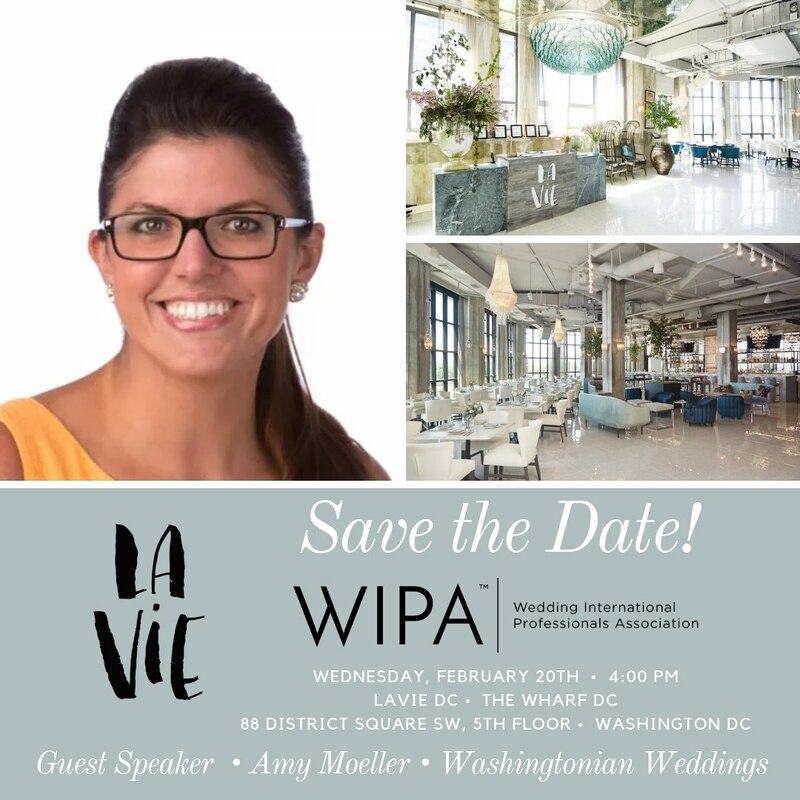 The February 6 Webinar will focus on Building a Diverse Portfolio as an Event Professional featuring Leah Weinberg of Color Pop Events. Mark your calendar and registration information will be sent later this month. Please welcome the following members who joined WIPA in December 2018. Veteran specialist in custom-crafted mens' suits, dress shirts, sport coats, tuxedos & outerwear. Marquette Avenue Events is a boutique wedding and event planning business based in Chicago with a National and International portfolio of work. We offer Destination, Full, Partial and Month-Of planning services. Fiore Press is a boutique letterpress and design studio located just outside Chicago, Illinois. We specialize in custom letterpress invitations + announcements for all of life's important celebrations as well as social stationery and business correspondence. All of our work is designed and printed in house, hand-crafted and tailored to your event. We mix all ink by hand and pull each print on one of our two vintage printing presses. Using super luxurious cotton paper, the result is a beautifully crisp impression with an amazing tactile quality. Owner + main press operator Carmela Heintzelman has been designing wedding invitations for 17 years, and has spent the last 10 years printing letterpress. She also creates signage for events using her own hand lettering and modern calligraphy. City Barbeque has been serving up backyard hospitality since 1999, offering full service catering that is 100% devoted to the craft of BBQ! There are now 5 City BBQ locations in the Chicagoland area (soon to be 6) so we can accommodate couples in just about any area or budget. A prism seems simple enough until you see the magic and beauty it creates. That's what we do for our clients. A modern and innovative special event design and planning firm, Prisma Events offers a trusted partnership, creativity for every vision, and the ability to take all your stress away. For you, it's magic. For us, it's passion. Pop the Cork Productions plans, styles and manages life's most important celebrations! We believe it's your day, your way and we want you to have peace of mind knowing you will enjoy your celebration as the guests of honor. An event planning company that puts the guest experience first. Creative Coverings hired Lauren Bergenholtz as their new Northern California Business Development Manager. Lauren is based in Sacramento, CA. Creative Coverings was named a Leader in Sustainability at the 2018 EDAWN Awards for its Green Initiatives and economic contribution to Northern Nevada. Alan Katz of Great Officiants is proud to announce the addition of Clint Hufft to his new Celebrity division. Clint joins Alan and others on his team who’ve attained Celebrity Status on the stage and screen. The new division is attracting other Celebrities who are considering joining the team. Renee Dalo, Wedding Planner & Designer at Moxie Bright Events, will be speaking at Alt Summit in Palm Springs, March 24-29. Renee is the co-host of the popular wedding industry podcast, Rock Your Wedding Biz, and will be presenting the workshop, "How to Turn Your Passion into a Podcast" alongside co-host Mindy Marzec. Sandy Hammer of AllSeated was published on Catersource with 2019 Tech Trends. She also shared her top Tech Trends for the Year in the International Wedding Trend Report, which was released January 4 globally. Wente was featured on Glam.com with The 10 Best Bottles Of Bubbly Under $40 For NYE. They were also published on Catersource with Food & Beverage Trends for 2019. Kevin Dennis of WeddingIQ shared the ins and outs of champagne toasts with Martha Stewart Weddings. He was also published on the WeddingWire Pro Blog with Creating an Efficient, Sustainable Work Culture. Christie Osborne Mountainside Media shared Simple Ways to Develop a Brand that Woos and Wins Clients with Catersource. You can also find her later this month in Miami, presenting at the Be Sage Conference. Emily Sullivan Events was published on the Rising Tide Society with Ready to Take a Risk? Here’s How to Plan Around It. She was also featured on Martha Stewart Weddings in an article titled “These Are the Worst Days to Get Married in 2019”. OFD Consulting was interviewed for Thrive Global’s article “Lift Your Legacy: Falling into your calling while building a balanced life with Meghan Ely and Rabbi Jacob Rupp”. 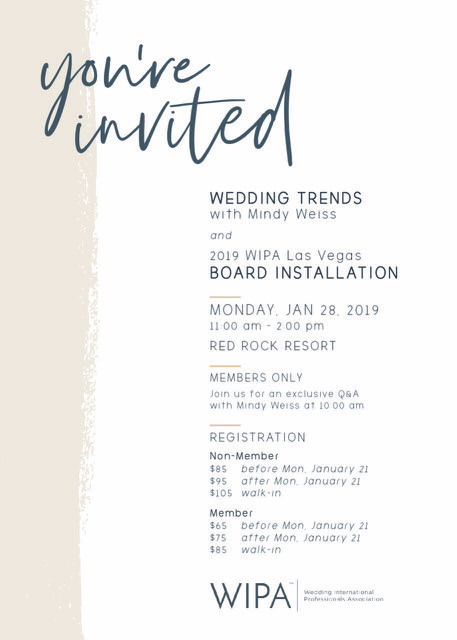 Meghan will also be in San Francisco February 5 to present at WeddingWire World. Scheme Events has launched Planning by The Book Live! A Bridal Masterclass which follows the successful debut of their book Planning by The Book in 2018. 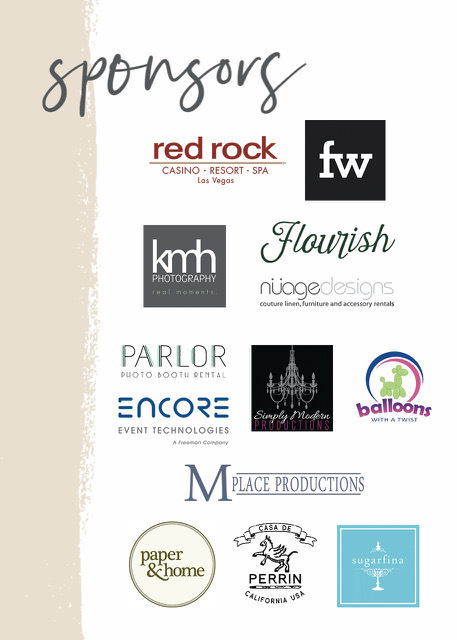 This one day event, May 25, 2019 at Red Rock Resort Las Vegas, will be the antithesis of the traditional bridal show, targeting an intimate audience of highly qualified luxury wedding clients and hosting them at an EXPERIENTIAL EVENT highlighting options available in Las Vegas. 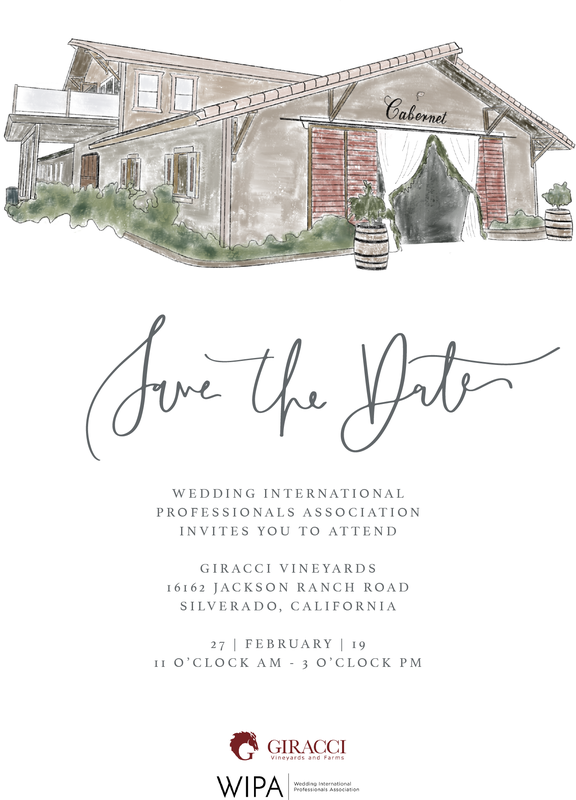 The day will feature an exclusive selection of event vendors producing unique experiences allowing the guests to engage in various components of a luxury wedding, interspersed with demonstrations, how-tos and panel discussions. Visit SchemeEvents.com for more information. Julie Roth Novack, Co-Founder and CEO of PartySlate, was a featured speaker at Engage!18 Solaz in December. PartySlate also launched its seventh market, San Diego, at the Andaz San Diego on Monday, January 7. Launches in Miami and Washington, D.C. will follow in early 2019. 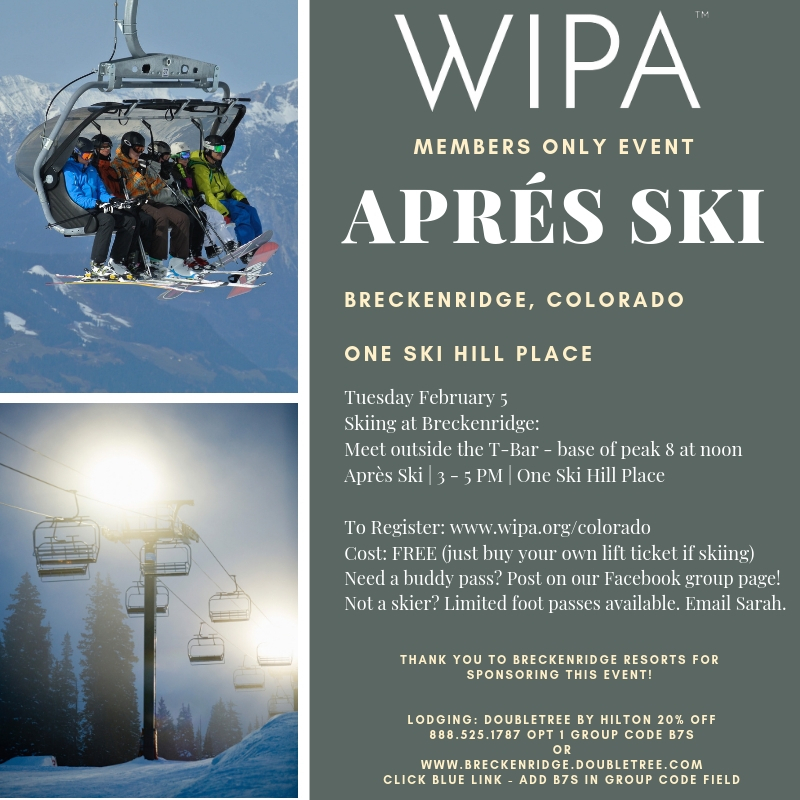 Prisma Events is proud to be a new WIPA member! Equally as exciting news is to announce additions to their team. Christal Holguin has been promoted from a day-of assistant to a Lead Coordinator and Whitney Meader joins the team as an Assistant Coordinator. Both ladies are very eager to learn and become more involved with the local Denver events industry. Magdalena Studios was featured in Amber and Muse for beautiful fall wedding inspiration editorial shoot at one of the top Philadelphia wedding venues, Terrain at Devon Yards. Magdalena Studios also recently debuted their new website design and expanded their team. Laurel & Rose (@laurelandrose) was recently featured on Inside Weddings! https://www.insideweddings.com/weddings/jewish-ceremony-romantic-fall-reception-decor-in-ojai-california/1216/ Edition Take the Cake! XO Bloom welcomed Travis McBurney to their team as Sales and Operations Manager in December. Travis is formerly of True Colors Events, having designed and produced weddings and events in Los Angeles and Seattle over the past 12 years. Owners Sarah and Laila are thrilled to have him as part of the XO family and look forward to tremendous growth in the year ahead. Balani Custom recently helped make young actor Gavin Warren red carpet ready in his space blue dinner jacket outfit for the premier of The First Man staring Ryan Gosling. Galvin played Neil Armstrong’s son in the movie. Gavin won The Red Carpet Fashion Award and was voted best dressed beating Ryan Gosling and Bradley Cooper! Vibiana was featured in a variety of stories in the Winter issue of California Wedding Day. Vibiana will host the kick-off concert for the Red Bull Music Festival next month, with a performance by San Cha. Tickets can be purchased here. Live Entertainment would like to welcome Mattie Mills and Loren Wilkerson into their Marketing/Sales and Public Relations departments of Undercover Live Entertainment. With a combined event industry experience of almost 40 years between the two of them, they are excited to bring on these two talented singers and business professionals. The Moxie Band has hired Pianist / vocalist extraordinaire Tom Grose, and the most sought after drummer in the Southeast, Scott Meeder! The Moxie Band has won Wedding Wire’s “Couple’s Choice” award 2019 for the 10th year in a row, and The Knot’s “Best of Weddings” 2019 for the 9th year in a row. Great Officiants had their Annual Company Meeting and Awards Banquet in January at The Reef Restaurant as they celebrated a record breaking year exceeding 1500 Ceremony Events. Alan KatzPresident and Presiding Officiant awarded the following Awards to his team of 37 Officiants. Officiant of the Year – Michael , Notary of The Year (Issuing Marriage Licenses) – Mauricio , Rookie of the Year - Thomas (bilingual Officiant), Best Reviews - Roger , Best Ethnic Wedding (South Asian) – Suvin , Best Blogger – Rev Gary, Most Religious – Father Geoff (Catholic Weddings). Most Creative Award – Clifford (Star Wars Wedding). Other fun awards were given out to the rest of the team. Alan also announced his engagement to Al-X. He proposed at the taping of the finale TV show Survivor in front of all the audience (off camera). Wedding is scheduled for summer 2032. Gemini Event Planning and Design was awarded the "Best of 2019" award by The Knot and the Couple's Choice Award by Wedding Wire for 2019 as well. Preoccupied Bride won WeddingWire’s 2019 Couples’ Choice Award and was featured in ChicagoStyle Weddings for a beautiful wedding they coordinated at the Chicago History Museum. Jesse La Plante of J. La Plante Photo is honored to be named as one of the Top 50 Wedding Photographers of 2018 by the International Society of Professional Wedding Photographers (ISPWP).